Listen as a professional no b.s marketer gives you an a-z course on several ways of making money online with the ultimate making money online crash course. 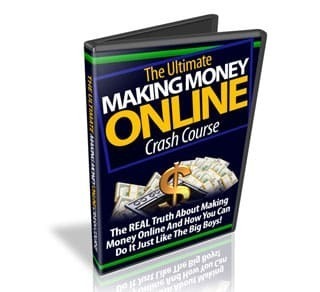 Limited Time Offer: The Ultimate Making Money Online Crash Course – Free! In this video I’ll discuss all your options for making money online. There are a ton of them, but I’ll show you what really works and what it takes to be successful with each tactic. 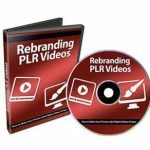 This video alone could determine your success online! Once you go through this video, you’ll know exactly what to do to get started making the money you want to! It seems everywhere you turn people are talking about traffic and trying to sell you a product on getting website traffic. In this video I give you the truth about website traffic. You’ll learn the type of traffic you need and the type to stay away from. Traffic is vital to any online business, so make sure you pay close attention in this video. In this video you’ll learn all about affiliate marketing from A-Z. Most people make this way to hard and tell you thousands of ways to do it. I’ll show you a complete overview so that you can walk away with a clear head and be able to do affiliate marketing the correct way! Just look around and you’ll see that the people who are selling their own products are making a killing. In this video I’ll explain exactly how you can do it, and make a load of money just like the “big boys” do! I’ve never seen anyone break this down so step-by-step! You’re going to be amazed with what you learn here. There are several services out there that you can provide and make a killing with. Things like traffic services, blog services, virtual assistant services, content creator services, and more. In this video I’ll explain these services in detail and show you how you can get started with any of them. This is a high profit video that will totally open your eyes to the big money! Throughout these videos I’ll be laying out all kinds of different ways for you to make money online. In this video we’ll talk about how to get started on the right path so you can walk away from this course with a clear path in mind, so you can start making money right away! This isn’t like any of the other internet marketing courses you’ve ever seen. This is an entire video coaching program that walks you step-by-step through everything you need to know to start making money online right now!